Under Ohio law, car insurance companies have a legal duty to act fairly in the processing of your claim. However, far too often, we see car insurance companies use tactics designed to give them an upper hand and reduce how much they have to pay on your car accident claim. In these circumstances, you may not just have a right to compensation on the original claim, but you may have an additional claim against the insurer for bad faith. 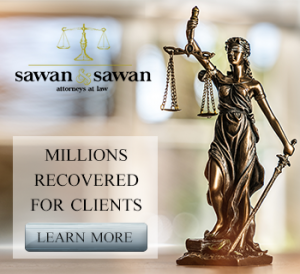 If at any time, you are concerned about the way a car insurance company or adjuster is treating you, call the family of lawyers at Sawan & Sawan today to schedule a free consultation. Here are some tips for dealing with insurance companies from the lawyers at Sawan & Sawan. It is vital to your case that you document the incident shortly after an accident occurs. Your memory of the events will inevitably dull over time, so it is very important to write down a statement of your recollection of the accident while it is fresh in your mind. This can be done on something as simple as a cheap notebook. Take photos of the accident scene. The closer in time to the car accident, the more useful they are as memory tends to fade and conditions of intersections and roads can change. This is also useful to document the impact, the damage and the placement of vehicles in relation to one another. It also clearly shows the road conditions should that be an issue. Always remember that you should think safety first, and get out of the flow of traffic before pulling out your camera. Internal insurance company documents show that they track the different lawyers involved in a case, including success rates and experience, and adjust settlements offers according to the perceived risk of losing a lawsuit against that lawyer. Before running the risk of attempting to handle a case on your own, schedule a free, no-risk consultation with a legal professional. It is vital that you tell your doctor everything about your injuries from the car accident on the very first visit. Thorough and accurate documentation about your injuries is the key to getting a fair settlement or jury verdict. Here’s an example. Let’s say you’re in an accident and the most painful injury is a broken arm, with secondary pain in your leg. You go to the doctor, and for the first month, you focus on the most serious injury in the arm, leaving out the pain in the leg. As the pain in your arm becomes more tolerable, you start to worry about your leg. You tell your doctor for the first time about the leg over a month after the accident and he diagnoses you and recommends surgery. Can you guess what the insurance company will say? If you guessed that they’ll say the injury wasn’t caused by the accident because it wasn’t in the initial diagnosis – you are correct. This is why you should err on the side of providing too much information about injuries when you are speaking with your doctor initially. This one goes without saying, but it is vital to the success of a claim. Every day, there are cases that go to trial and the jury fails to award compensation. 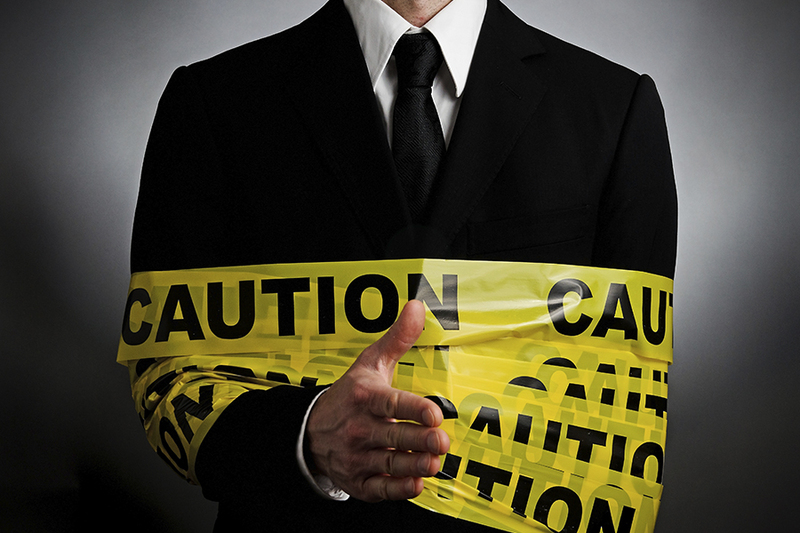 Insurance companies will not settle a case if they feel that injuries or damages are being exaggerated. They know that if they take a case like that to trial, the jury will punish the injured person for being dishonest. If a case goes to trial, we trust the jury to figure out the truth. Because of this, when we try cases, we are exceedingly honest and forthright with the jury. We find that this policy is the best for attaining fair and just results for our clients. The insurance company industry has a multi-million dollar lobbying arm that is consistently portraying injury victims and their lawyers as filing frivolous claims in courts. They want to mislead the public into believing that these cases are about making a profit from an injury, which is blatantly false and offensively disingenuous. They want the public to have a preconceived notion that any compensation is undeserved and excessive. People who have been injured by another’s negligence are entitled to fair compensation, that’s the law and that’s justice. Big businesses only want to increase their profits, and to this end, insurance companies love telling this tale that injured parties are fraudsters and lawyers file frivolous suits for profit. If you listened to this propaganda, just think for a second what the world would be like if a law was passed banning all personal injury lawsuits. Imagine how reckless and unsafe people would be and how much damage would be done. If businesses could make more money by pushing employees to act unsafely, without recourse, the profit motive would win out every time over individual safety.